Gonzalez S., Cabanes D., Ortega-García MV., Garcia N., Moreno I., Barcena C., Ancochea C., Montes MJ., Marino E., Goyache J. y Dominguez M.
Leishmaniosis prevention and control should include novel communication strategies that must be easily accessible and would include new advances in the knowledge of the disease. Recently, other animals different than dogs have been described as competent reservoirs of Leishmania, playing an important epidemiological role in recent outbreaks in Europe and Asia. At the moment, most of the information available is fundamentally devoted to humans and dogs, and there is no a global approach to the disease, taking into account all possible reservoirs. Stopleishmania.org is an initiative of the VISAVET Health Surveillance Centre (UCM), the National Centre of Microbiology (ISCIII), the Animal Protection Centre (Madrid City Council) and the Directorate of Public Health (Regional Government of Madrid). This project launches the possibility of collaboration with other research centres, feeding the site with updated information on this disease. The contents are available in Spanish and English, and come from the knowledge and experience in the disease of the above mentioned organisms, including research and information outreach. The result is a website mainly focused on dissemination of the fundamental aspects for the control and prevention of the disease, taking into account that leishmaniosis due to its zoonotic condition, requires a multidisciplinary vision in accordance with the "One Health" principles. The web is complemented by a collaborative tool where the registered research groups can present themselves and disseminate their research results, therefore providing updated information on the scientific advances in the disease control. Stopleishmania.org is a new website devoted to leishmaniosis for the dissemination of scientific advances related to this disease, which would bring to the society key guidelines for the prevention and control of the disease. The website fulfils an important educational role. Moreover, this initiative will facilitate the creation of multidisciplinary working groups to face zoonotic diseases. Although the project is initially proposed at national level, an international dimension is defined as a future objective in order tostrength international collaboration between countries that share common health threats like leishmaniosis. Servicio de Zoonosis Emergentes, de Baja Prevalencia y Agresivos Biológicos (NED). Servicio de Informática y Comunicación (SIC). Centro de Vigilancia Sanitaria Veterinaria (VISAVET). 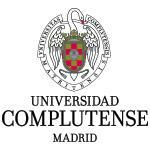 Universidad Complutense (UCM). Centro de Protección Animal. Madrid Salud. Ayuntamiento de Madrid. Dirección General de Salud Pública. Consejería de Sanidad. Comunidad de Madrid. Campus La Marañosa (ITM). Instituto Nacional de Técnica Aeroespacial (INTA). Ministerio de Defensa. AUTORES: Gonzalez S., Cabanes D., Ortega-García MV., Garcia N., Moreno I., Barcena C., Ancochea C., Montes MJ., Marino E., Goyache J. y Dominguez M.